Interview with Dubravka Stojanović, historian and professor at the University of Belgrade. Without the enumeration of victims, which is the main goal of RECOM, there can be no beginning of a process that will change the value systems in our society. It is a tool through which a deep transformation of the value system should begin, states Stojanović in her EWB interview. 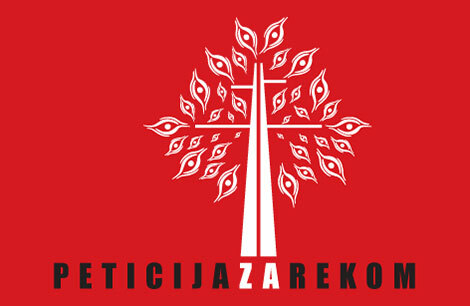 European Western Balkans: You have recently said that RECOM is a “zero point”, the beginning of reconciliation. What exactly did you mean by that? Dubravka Stojanović: As long as societies have the need to manipulate with the number of victims, there will be no progress in either direction. First of all, this means that societies are not ready for real empathy towards the victims, which further means that human life in our societies still has no value. Only when we start to identify the victims by name and begin remembering each human being, will we be able to say that human life has become worthwhile. Until that happens, we will continue to spend the “human material”, as eternally “renewable”, until the last man. Additionally, manipulations with the number of victims are used, above all, to keep the conflict with the neighbours permanently open. So, as long as these societies are not ready to reach the exact number of deceased, they clearly show that they are not even ready for either dealing with the past, nor reconciliation. That is why this is the zero point, because there can be no progress before the determination of the number of victims. And without this shift, there will be no changes in our societies, nor in inter-state relations. EWB: The facts of the sufferings from the Second World War and during the wars in Yugoslavia are interpreted in different ways. How is it possible to come to the objective truth about the conflicts in the region? DS: I do not think that we can get to the “objective truth” to begin with. I think that the first step is to apply a multi-perspective approach, that is to speak on these events from the perspective of different parties. Thus, in the first phase, we will begin to accept that these visions are very distant, but, in my opinion, only in time can the shaping of a single narrative come about. For example – the Croats speak of Operation “Storm” only as a liberation action and do not talk about what happened after it. 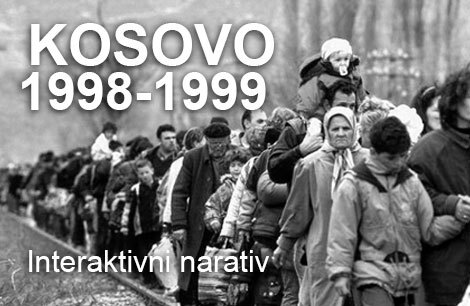 The Serbs, however, only talk about what happened after the “Storm“, and not about what has happened before, or why the Knin was in Serbian hands and why there were no Croats there. When these two stories are merged together, we get the totality of the truth and we can see the responsibility of both sides for the crimes. EWB: You have edited common historical readers related to this period. You have faced the concealment of and fake reports on the events. Have all the parties in the conflict used the same methods to minimize guilt, what is common between them and how do they differ? How can the teachers and students discover facts, if “fake news” are presented as facts? DS: It is common for all the parties that the guilt is always and only someone else’s. No one has accepted a shred of his own responsibility. 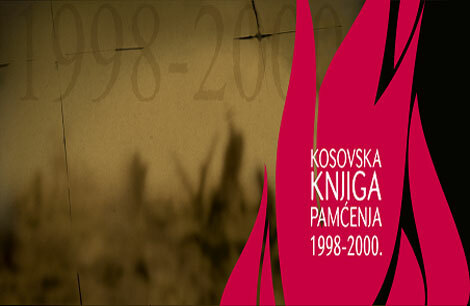 What is worse, the causes of the wars of the nineties are presented in the same way as during the eighties, by accusing the others for the bad state of Yugoslavia, which has remained to this day. 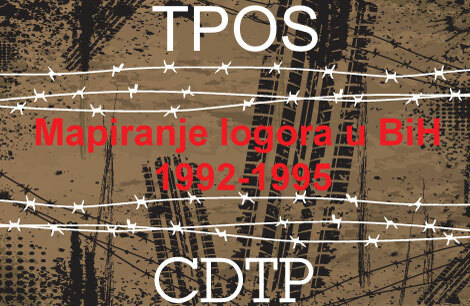 Thus, the Serbs say that the federalization of the state is blamed for everything, the removal of Ranković, the Constitution of 1974 – everything that Slobodan Milošević was also talking about. Croats say something quite the opposite – that the war came about because of Serbian hegemony in Yugoslavia and the centralism has created the need for independence. Serbs blame the war on separatism, and for Croats it is Serbian centralism, and these are mutually contradictory things. Therefore, I do not believe that we can soon agree on a common viewpoint, but the first step should precisely be multi-perspective, that is, to become acquainted with the view of the other. EWB: In a recent interview for the daily newspaper Danas, you said that you believe that the harmonization on the key historical events is not possible nornecessary, and that it would be violent and counterproductive. How important is the context, and how much historical facts in the process of rebuilding trust among nations? DS: In order to get the desired image, everyone rejects some of facts and inserts some others. They make the choice which suits them. This is inherent to any historical narrative, because you can never tell the whole story. This choice is inevitable. But if you deliberately skip key elements, and bring to the forefront something that is factually incorrect, then it’s revisionism. It is therefore necessary to open a space for discussion and for different voices. Not only do different societies differ in their respective historical interpretations, but also within the society we have very large differences. If we impose a narrative, then there will always be those who will feel marginalized and will wait for “their moment”. This happened in Yugoslavia in the 1980s – when the “fraternity and unity” faded, suddenly destructive nationalist narratives emerged, first of all the ones suppressed after the Second World War. And so we came to the negation of anti-fascism in most of the post-Yugoslav societies. That’s why it’s so dangerous. EWB: Political crises, which are sporadically emerging in relations between the states formed by the breakup of Yugoslavia, suggest that the wars are continuing through rhetorical means. Would determining the facts of the previous conflicts make these “wars” end? DS: They will end when those societies and their elites are finally ready for it. As long as wars are used as a key means of internal politics, as long as there is no other policy, this rhetoric will exist. But our job is to find facts, to constantly work on them, to push our societies towards dealing with the past and keep pressing our countries. If we constantly keep this on agenda, I believe that we will be ready for the moment when states open up a new concept of the future and decide to own it. Until then, we will be in the death rattle of the past, which is a great alibi for doing nothing. EWB: In an interview with the news agency FoNet you stated that “the goal of all the elites is to change nothing”. Are there any elites that you see as a driving force for positive change in the process of reconciliation? Can anything be changed without political support for the reconciliation in the region? DS: Those elites are everywhere, but they are not heard from the noise pollution produced by the populists of all colours and political orientation. They rattle, produce scandals, affairs, drama… In such a climate, nothing that is reasonable can be heard, it simply does not have the power that fake news has. What is worrying today is that such things are happening in Britain with Brexit and the United States with the Trump election. So, we are talking about the most prosperous societies, with the longest democratic traditions, which have fallen to the noisemakers. This calls into question the theory of democracy and poses serious challenges, as well as the fear that democracy as a rational system is dead. As for us in the former Yugoslavia, I think that we are particularly susceptible to these kinds of mistakes, exactly because we have recent wars which are used for constant salting of old wounds. And without healing these wounds, we can never move forward. EWB: Your last book, printed in English, has the title “Populism – The Serbian way”. You claim that Serbia is an “avant-garde of populism.” Why? DS: Because our research shows that populistic methods of governance, that we can see today from Hungary and Poland to the United States, were “patented” in Serbia at the end of the 19th century, and that their inventor was Nikola Pašić. He was able to have an excellent Constitution and impeccably set up institutions, but to rule by himself, in spite of all the regulations and the envisaged procedures. He knew how to use the freedom of the press so that everything could be written, and that no word in it carried any weight anymore because of that deafening gall. He was able to create the first party state in Serbia, where the interest of the party was above the public interest and in which a clientelistic structure is created, in which a vast majority of citizens have an interest in continuing this corruption. That’s why it’s hard to win – because the vast majority want this system to remain, because it brings them some benefit. That’s why I thought it was important to offer that know-how from our past to a foreign market, if nothing else, as a warning that this necessarily ends in the blood. EWB: Do you think that identifying the names of victims and creating a joint list, which RECOM is doing, would have an impact on the reduction of extremism and populism, and thus the manipulation through abuse of “our” victims? DS: That would be an ideal approach. Of course, we have the names of the victims of Srebrenica, but that does not mean that we will not have significant groups in society that completely deny this crime. So, it’s not just a matter of “knowing,” but also a matter of changing the attitudes toward these issues. But without RECOM’s goal, we cannot begin the process that will change the value systems in the wider society. EWB: The aim of RECOM is to establish the facts that can not be manipulated, because the names of victims and the circumstances of their deaths are verifiable. Can this “forensic” approach towards truth reduce the space for lies and open the possibility for the humanization of others? DS: This is a prerequisite. Without it, we can go no further. But, I say this is just a tool by which you need to embark on a deep transformation of the value system. While we have a heroic codex and violence as the only means of problem-solving, and this is the case from the top of the government to the men who en masse beat their wives, the aforementioned list will not mean much. But without this list, we cannot advance.